What Is The Difference Between Murder and Manslaughter? Murder and Manslaughter are the most serious offences in the Criminal Code. Our commitment to our clients charged with any one of these offences is to avoid a conviction, and to fight for an acquittal, or a plea to a lesser charge. Murder is the intentional killing of another human being. In Canada, murder law, or homicide, is classified into several categories: First degree murder, second degree murder, infanticide and manslaughter. The distinction between these offences is in the requirement of proof of the intent of the accused. 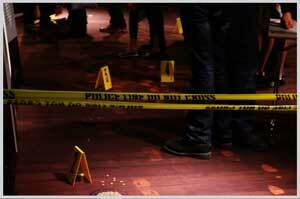 First degree murder refers to a murder that is both planned and deliberate. If it was planned then it was conceived and thought out before it was carried out. If it was deliberate then the act was considered and not impulsive. There are several circumstances in which a murder that is not planned and deliberate can also warrant a first degree murder charge. The killing of a police officer or prison guard is always first degree murder. Murder committed in the course of the commission of other specified crimes such as hijacking, sexual assault, aggravated sexual assault, kidnapping, forcible confinement, hostage taking, terrorism, intimidation, or any offence being committed on behalf of a criminal organization, is also considered first degree murder under Canadian murder law. Second degree murder is any homicide that is proven if the prosecution can establish the accused intended to kill the victim, or if he intended to cause bodily harm that he knew was likely to cause death. Manslaughter is any unlawful killing that lacks the intent to prove murder. The hallmark of manslaughter law is essentially the commission of an unlawful act that causes the death of the victim. An unlawful act could be something as simple as applying force to a person without their consent (assault), with the resulting death of that person. A classic case involved a push to the victim, resulting in him losing his balance, and falling down a flight of stairs to his death. Manslaughter also can be successfully pleaded when an accused is charged with murder, and due to intoxication, he or she may lack the intent to kill or cause bodily harm that is likely to cause death. A charge of murder can also be reduced to manslaughter where the accused person can establish provocation, or where the prosecution cannot prove the necessary intent to commit murder (first or second degree), as intent is a primary difference between manslaughter and murder. There are many circumstances where an accused, who is suffering from mental health issues, can be found not criminally responsible (and, thus avoid going to jail) if it is established that the accused did not appreciate the nature and quality of the act, or that it was wrong. This usually involves a mentally ill accused who is suffering from delusions that cause him to believe in a state of affairs that, if they were true, would afford a defence or excuse for his actions on moral or legal grounds. For example, if the accused held the delusional belief that the victim was the devil and he had to be killed, mental health law would afford a defence of not criminally responsible. The Criminal Law Team has extensive experience as mental health lawyers representing clients with mental health issues, and we have successfully raised the defence of not criminally responsible (the ‘Insanity Defence’). We have access to the best forensic psychologists and psychiatrists in the country to assist in establishing the grounds for this defence. We also offer treatment and counseling services to help the accused obtain bail, and to assist him through the rehabilitation process. Are You Facing Murder or Manslaughter Charges in Toronto? The consequences of a conviction for the offences of murder, manslaughter, and attempted murder charges are so severe that you need immediate legal advice from the experienced and dedicated lawyers of The Criminal Law Team. Every piece of evidence gathered in your case will be carefully scrutinized by our Team. We will use our extensive experience to guide you through the interrogation process so as to avoid you incriminating yourself and, thus, adding to the evidence against you in your case. It is critical to point out that, even in cases where an accused person believes he has a complete defence to the allegations, it is important to retain experienced criminal lawyers to obtain advice early on in the process. Not only will we strenuously remind you of your right to remain silent in an investigation where you may be a suspect, we will also spend considerable time reviewing with you the probable interrogation techniques used by the police to try and extract a confession from you. If you or someone you know has been arrested and is facing a murder, manslaughter, or conspiracy to commit murder charge- or any serious allegation involving a crime of violence– call The Criminal Law Team of Bruce Karten & Stephen Hebscher. Lawyers Bruce Karten & Stephen Hebscher have over 60+ years of combined experience in defending the rights of individuals accused of violent crimes in the Greater Toronto Area. We have an extremely high success rate of getting charges either reduced, withdrawn or dismissed altogether. See what our other clients are saying about us. We can help you too!